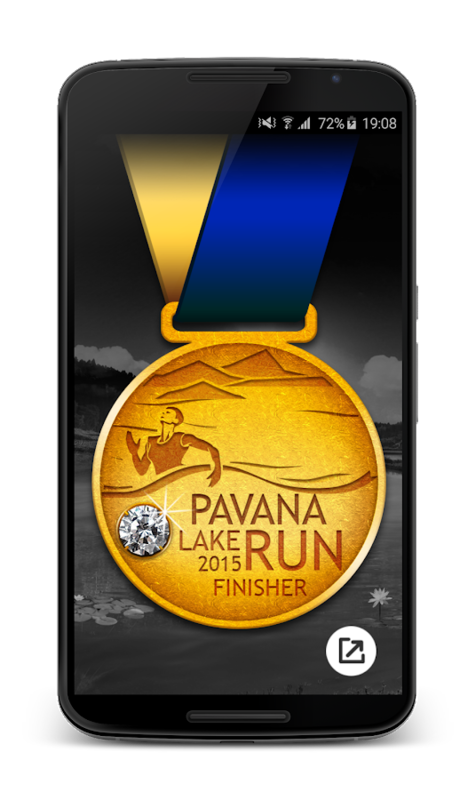 Digital Medal awarded for the participants who have finished the 10mile Pavana Lake Run. User need to enter email address to use theapp. User can share "Digital Medal" through Social Media. Tata Consultancy Services (TCS) is a globalleader in IT services, digital and business solutions that partnerswith its clients to simplify, strengthen and transform theirbusinesses. We ensure the highest levels of certainty andsatisfaction through a deep-set commitment to our clients,comprehensive industry expertise and a global network of innovationand delivery centers.TCS has been recognized by Brand Finance as one of the Big 4 GlobalIT Services Brands. Our continued industry-leading growth is atestament to the certainty our clients experience every day.TCS NextStep (the “App”) is a career oriented mobile applicationpublished by Tata Consultancy Services Limited (“TCSL”). This Appis envisioned to be a platform for students of academia to performvarious activities related to TCSL campus and off-campusrecruitment process, connect to the Campus Commune (social andcollaboration platform of TCSL for academia).Post successful registration via Web Application you can Installand Log-in to the App with your generated User name (Reference Id)and Password. The free NextStep Career App works for you 24x7, sothat you do not miss out on any important notifications about yourApplication or recruitment drives being conducted by TCS.FEATURES:· Receive real time notifications about your Registration andApplication Status.· Track your Application in a Timeline format, with history of allactions taken along with upcoming action items.· Receive and download Hall-Tickets for TCS Off-Campus RecruitmentProcesses (Applicable for Candidates appearing as Off CampusCandidates).· View and Download your Offer Letter, choose your preferred Streamof work and City in which you wish to work.· View and Download your Joining Letter.· Connect and Collaborate in various forums and communities withCandidates from across the country and beyond on Campus Commune,now on your mobile.· Reach out to us through calls and e-mails on our TCS help line bya simple touch on screen, regarding all your Application andrecruitment related queries. Get ready for a confident job interview in the company of your mosttrusted buddies, with our free award-winning app, InterviewReadyUsethe language guides in Arabic, Assamese, Bengali, English,Gujarati, Hindi, Kannada, Kashmiri, Malayalam, Marathi, Odiya,Portuguese, Spanish, Tamil and Urdu for a smooth journey.Improveand practice your English language skills with our powerful mix oflessons and games. Use our world of information, knowledge andinspiration to prepare for a corporate career.Build an industrystandard resume using our resume-builder and start applying forjobs.InterviewReady is the winner of:• Gold – Stevie Award 2016,Professional Education Category• Gold – Brandon Hall 2015, Best Useof Mobile LearningFeatures- Vernacular guides in 14 Indian andinternational languages.- Study Buddy-Groups for learningtogether.- Study Bag containing all preparation material.-Knowledge of 20+ business domains in IT IS and BPS, familiarisationwith industry jargon.- Daily digest of videos, articles, postersand brain teasers.- Practical, scenario based English lessons inonly 8 modules.- Sample sentences for you to read, record andreplay and track your improvement.- 3 levels of exciting games toplay and get InterviewReady.- Easy to use resume-builder to build aworld class resume.InterviewReady is awesome and it’s free. So whatare you waiting for, download right now and get interviewready!Write to us at [email protected]:https://www.facebook.com/InterviewReadyTwitter:Interviewready_Instagram: InterviewreadyImportant Note RegardingPermissionsPlease note that the InterviewReady app requires accessto the following Android permissions to operate properly:*RECEIVE_BOOT_COMPLETED - This permission is used to check if theAndroid device has booted or not. InterviewReady can then performinitialisation of the local notifications. * WRITE_EXTERNAL_STORAGE- This permission is used to create the folder required by the appon your storage device. * READ_CONTACTS - This permission is used toinvite your friends to play English activity games. *READ_EXTERNAL_STORAGE - This permission is used to read thecontents of the folder created by the app on your storage device. *GET_ACCOUNTS - This permission is used to retrieve your Facebookand Google accounts when registering or when using a social medialogin. * RECORD_AUDIO - This permission is used to record andplayback audio in the English lessons section. * READ_PHONE_STATE -This permission is used to pause audio recording or playback when aphone call is received or made. * VIBRATE - This permission is usedwhen a new notification is received or when a wrong answer issubmitted in the English activity games. * USE_CREDENTIALS - Thispermission is used to connect to your Google account. * INTERNET -This permission is used to retrieve latest posts on the homenoticeboard, used for group activities and upload your resume forsending to your email ID. * ACCESS_NETWORK_STATE - Thispermission is used to check if your device is connected to Wifi ormobile data so that embedded videos can play smoothly.MinimumSpecs:Min OS 4.4, 320x480 Screen Resolution. Tablet users may findUI variance. Display of regional languages may vary based on yourdevice's built-in language support.© 2018 Tata ConsultancyServices. All rights reserved.InterviewReady™ is a registeredtrademark of Tata Consultancy Services Limited. TCS in house application built to track their vehicles on road on areal time basis. Keeps a track on their employees on the vehicleand their boarding and alighting statues and locations. TCS SocialSoccer is a mobile app, imagined,engineered and delivered by Tata Consultancy Services. Thisinteractive app will help you track the biggest event in the worldof football and will change the way you watch the game. * Get live scores and instant alerts on all the action packedmatches of 2014 FIFA World Cup™* Match analysis with live update capturing all the action. Goals,Yellow cards, Twitter spikes, sample tweets and more* Get the latest news, viral tweets, images by following yourfavorite teams and players* Stay in the loop about trending players countries and teams* Retweet directly from the app and interact with fans around theworld* Get real-time FIFA World Cup™ updates through relatedtweets* Share your predictions of all the match* Discover views and opinions of the best minds in the gameDownload TCS SocialSoccer, the perfect one stop shop to thegreatest tournament on the football circuit. It will make you feellike you are in the heart of Brazil! Connect with your favorite team RajasthanRoyals with the official Android app, powered by Tata ConsultancyServices.Get reminders for your favorite matches and catch live score forIPL and CLT20 as they happen. Widget to bring Live score to homepage for easy quick glance. Keep a track of league standings andtop players as the tournament goes on. Play the PredictoRR game towin exciting prizes. Follow the team by keeping yourself updatedwith the player stats, tweets and official news. Click your selfieand share it with #SelfieWithRoyals. Socially connect with yourfavourite team in Facebook, Twitter, Instagram and Videogram.Raise your voice and say HALLA BOL! The TCS New York City Marathon app powered by Tata ConsultancyServices features a brand-new runner details page along withtracking, notifications, and an interactive spectator guide. CreateCheer Cards for your favorite runners, view pro athlete bios,events, and race day calendars, shop the latest New Balance gearand more. The Tata Mumbai Marathon app comes with the following excitingfeatures: Track your favourite runners Search for a runner by theirname or BIB number and add them to your list. You will now be ableto track their progress live throughout the race! Leaderboard Theleaderboard will display the 5 leading participants for eachcategory. 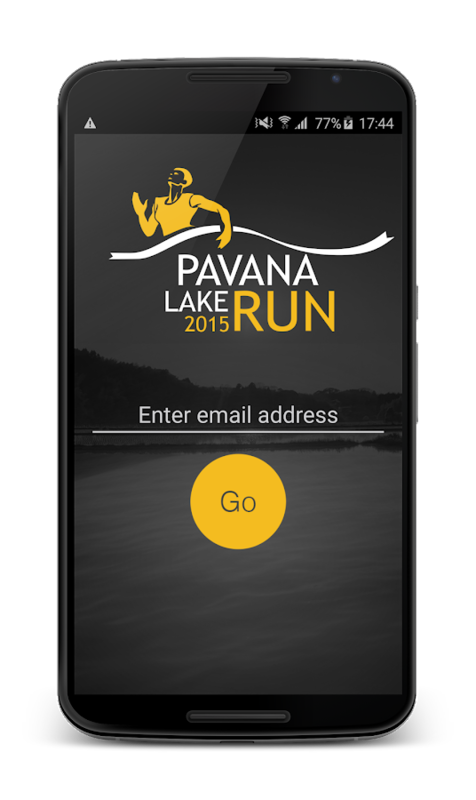 Race Info: Gives information about the various races thatare part of the marathon. Inspire Booth Cheer your favouriterunners, friends and family by sending them cards. Deck each cardwith cool stickers and show your support. Selfie Choose a MumbaiMarathon themed frame to adorn your race selfies. And a lot morefeatures. Runners and their families and friends can take the United AirlinesNYC Half with them everywhere with the United Airlines NYCHalf App Powered by Tata Consultancy Services. 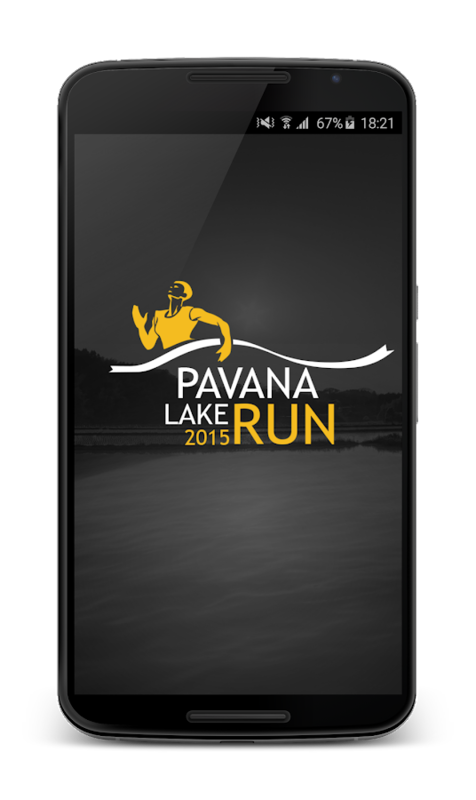 Availablefree of charge, the app features runner-trackingcapabilities including on-map tracking, runner detail page,pro-athlete bios, and essential race day information. M4maths New App for TCS Exam Preparation.Here we listed onlyselected and approved question based on Latest TCS Pattern. M4mathsexpert team tried their best to gave correct solution and goodexplanation for every problem in case you find any question wronglyprinted or wrong answer then m4maths will not be responsible forit. You can contact us to make it correct.Mock Up Test: This apphas a feature of mockup test. any user can give unlimited mock uptest. each mock up test has 10 question with a time limit of 10Minute. By this feature you can enhance your skill set and get anidea how much you can score in your TCS exam. Feature. • More then500+ TCS Questions based on Latest Pattern 2015 • Solution andmethod of every questions.• Simple to use• Attractive UI• WorksFaster• Always upto date with new questions.• Absolutely freeoffline no internet is required always. • Unlimited Mock Up Test.•Mock up Test Score.We are coming soon with more Placement ExamApps.Share you feedback with us at [email protected] Visit ourwebsite for More TCS Questions : http://www.m4maths.comWeappreciate your time. Your ratings and feedback are valuable tous.Thanks for your interest. We live in a very fast paced world where time is very valuable formost people. We often hear this saying “too much to do, too littletime.” Often, the “too much to do” is a lot of bringing somethingfrom somewhere or taking something to some place. This includesgetting groceries, paying bills, picking up clothes from the tailorand various other similar tasks. Errands, on their own, are verysmall but when account for the time you spent in undertaking thetravel to do them, the traffic on the way or the fatigue of waitingin queue for your turn, the effort required by the task exceeds thevalue of the errand. TCS has been offering topnotch Express &Logistics service around Pakistan since 33+ years but customers’demands from TCS has been accelerated. Customers perceive TCS as ashipping solution provider for all their goods transportation needswhich includes parcels, documents, E- commerce products and eventheir groceries. Panda Run is a interesting running and jumping adventure game.PandaBao is adventure in the bamboo world.But it's so danger in it liketigers,hedgehogs,bees and so on.So he need your help.Please helphim to run out of bamboo world.Panda Run Features:- Cool photographand lovely panda Bao.- Simple control just tap screen to jump orroll.- Jump to avoid obstacles and monsters- Roll to destroyobstacles and monsters- Tiger is very strong, will be heavy attack,be careful.- Be careful to avoid sprinted hedgehogs and bees.-Bamboo raft can let you glide on the water.- Frogs will help youjump higher.- 2 Cool scenes bamboo world and temple world.- 40different levels and more will coming soon.How To Play:- tap buttonto jump or roll the panda.- collect drink to add energy the you canroll.- collect more bamboos as many as you can.Great!Download PandaRun ! !And start your adventure NOW! !Enjoy it! !